So, this is more of a conversation post, then an informative one. 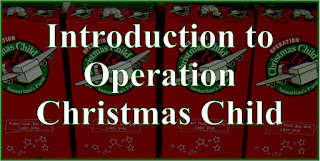 I thought it'd be interesting to share goals for this year's Operation Christmas Child shoebox packing. 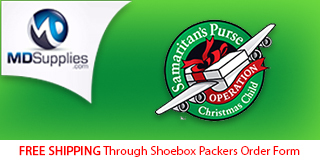 Obviously the universal goal to make good shoeboxes for the children. As a rule, we also try to pack a nice number and on a budget. And we always put in school & hygiene supplies, a stuffed animal, and some other fun & practical stuff. But the last few years I've been trying to focus on different ways I can improve the boxes. Last year I thought it would be fun to pack 52 boxes...which would work out to the equivalent of 1 per week. Mainly divided between 2-4 and 10-14 year old age group categories as those ages tend to get the least. Last year my main goal for improving the boxes was to be sure we had a good stock of a variety of small items to put in after the main things. There were a number of reasons for this: 1) to not waste any space in the shoebox, why ship air? 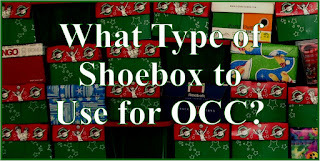 2) One can fit more items into a shoebox, without compromising the size of the main items, or using a over-sized box. 3) If the child doesn't happen to like the main toy(s), there are more to pick from with mini card games, tops, mazes, etc. 4) If they want to share some of their items, they have more to share, can share the small items and have the joy of having something to give, and still keep the main items. WOW items. 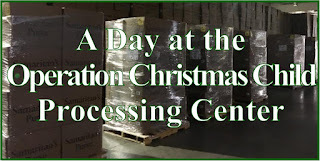 Here in the USA, OCC asks that we start packing by choosing a "Wow" item. They suggest "Ideas include: Soccer ball with pump, Stuffed animal, Toys (puppets, trucks, etc. 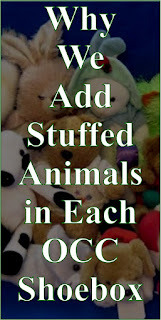 ), Doll (baby, Barbie, etc. ), Musical instrument, Outfit, Shoes" (source) All of our boxes include stuffed animals or dolls and another toy, and sometimes an outfit. So the "WOW" item is easily covered. 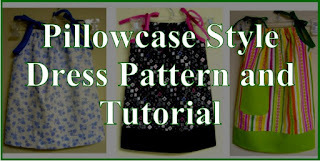 We always cover all the basic categories-hygiene, school, art, something to wear, etc. 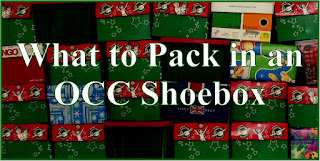 (you can see a sample of our packing lists here). But this year I'd like try to work to make sure every item possible "wows" the child. 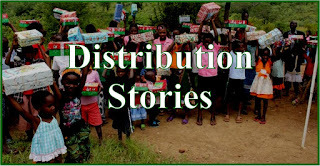 Things that might not normally seem "wow" worthy (although for some of these children in desperate situations I've heard stories of these being "wow" plain.) For instance, for hygiene, I have an old embroidery machine, I'm thinking about digging it out and decorating the washcloths. 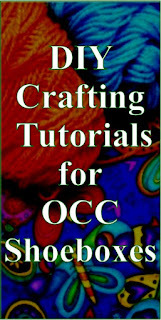 For school supplies-buying the lined notebooks on clearance after Back-to-School to get decorative patterms on the covers, or soft backed composition books with multiplication tables, etc. inside. Make sure as many things as possible are bright, colorful, etc. 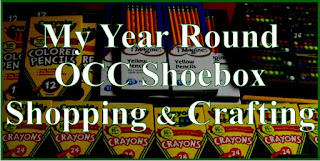 I'm hoping to stretch my budget to be able to pack the same number of boxes, but build up my stock a little bit. I'll still be giving fillers (explanation of that here), but sometimes you can get better deals buying in bulk (for instance you can see items I got at H & J Closeouts, or I bought like a gross of combs on Amazon). Or when I stumble on a great deal (like I did with compasses and protractors at Office Max like 90% off) I want to be able to buy enough for a few years. Especially as I live in a small town it can be hard to find clearance, and with a number of health issues in my family, especially being a caregiver for my grandmother, it's not uncommon for something to come up and not be able to do anything more than the essentials for life for a few weeks/months, and with a little "stock" that decreases the stress/pressure to hit every sale opportunity. That way I can, in the long run, afford more, higher quality items. It takes up some room, and ties up some funds, but in the long run, I think it'll lead to better boxes. So, does anyone else have goals for this year? 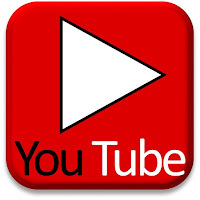 Enjoy your blog for inspiration! I was given an embroidery machine for my birthday and had so much fun embroidering washcloth and hand towel sets for our boxes! 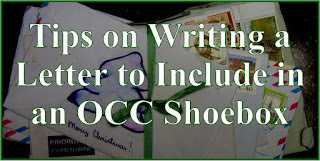 We have 6 daughters(age 14 to 4) and so OCC is our year round project. The girls make items at their skill level. The oldest daughters crochet/knit all the way down to the youngest who colors the floral decoration printed on Scripture verses. We also have a baby boy - his job is to make everyone laugh. I also machine embroider needle books to put in the sewing kits. Small muslin embroidered cover with felt for the needles. Thank you for sharing boxes and deals. Enjoy all of it. I, too, enjoy the inspiration and encouragement on your blog! 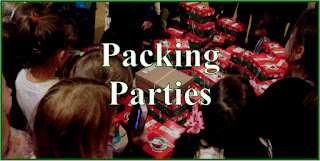 Each of the last few years, I've sensed God challenging me to use this unusually 'quiet' season of life to invest more heavily in packing and praying for our shoebox kiddos. My goal this year is 100, or about 8 a month (1st 8 on the shelf already:). 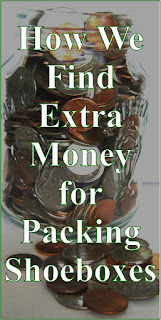 I'm also trying to pack better boxes with my budget by doing as much bulk buying as I can. Another idea shared recently was to 'purchase shipping labels' each month online (I'm guessing by choosing 'sponsor a box' on the SP website). That would be a great way to spread out the shipping costs over the whole year, so I plan to try it out this week. One of my favorite ideas I found online was making 'tic tac toe' games with small muslin bags and colored 'stones' used in flower vases-so easy & inexpensive! Draw the grid on the bag with a permanent marker, add 6@ of 2 different colors of stones and directions w/pictures, tie bag with a slip knot and pack. My husband & I made 40 while watching football on NYE! Happy packing & praying, everyone! Thanks for the kind words about my blog!!! And for sharing your goals/ideas for 2017! I also like to buy this ahead even for future years if I run across a great deal. Even though I work very hard to obtain quality and thoughtful items this past year I ran out of time to actually pack my boxes. I felt I could have done a better service to each child by taking more time in selecting which items went together. This year I am taking March to pack all the boxes I can ahead except for the soap. Then this fall I don't think I will feel as rushed. If I had a dedicated room I guess I could do it all along. Lovely Post - Thanks!